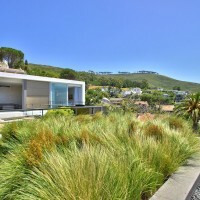 The property on which this house stands enjoys a unique position in a quite cul-de-sac in Tamboerskloof. 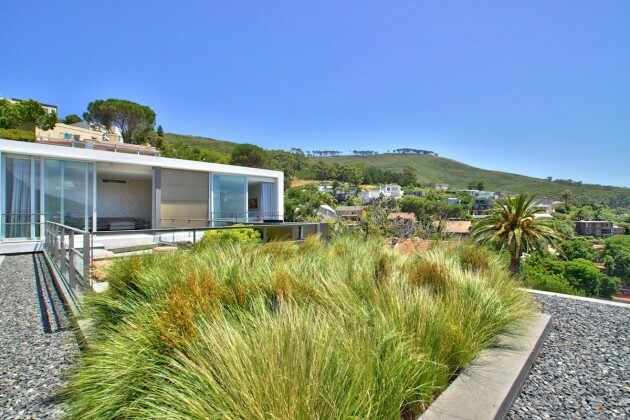 Bounded on one side by a pedestrian stair and pathway it is this subtle factor that unlocks the potential within the property and the phenomenal vistas experienced from nearly all aspects of the house are revealed. 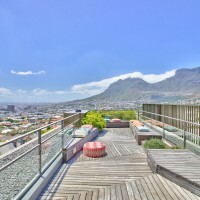 Looking out over the city bowl, on a clear day one can all the way to the Hottentots Holland mountain range however, that is one of the last things a viewer notices from the home. 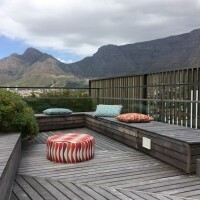 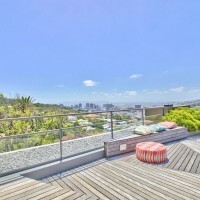 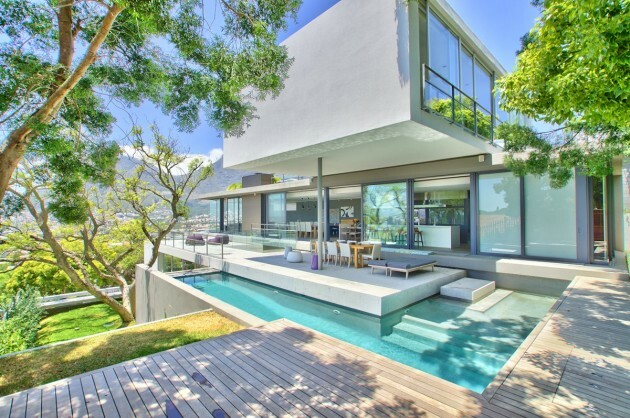 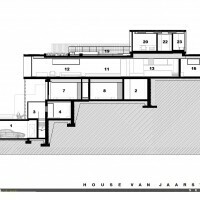 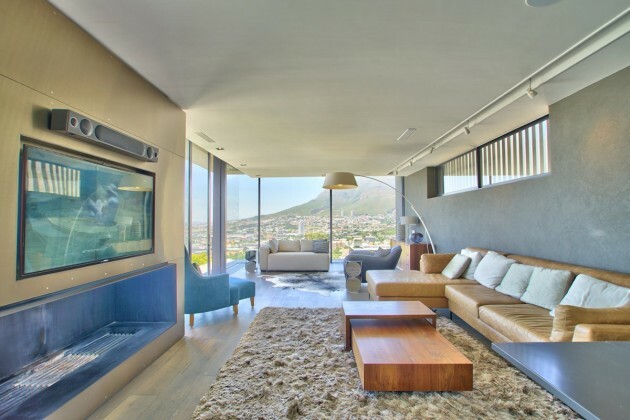 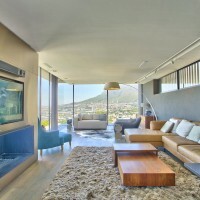 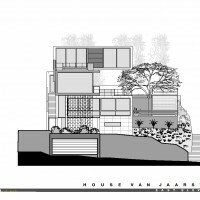 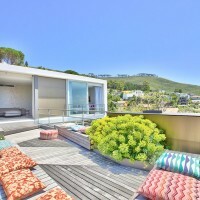 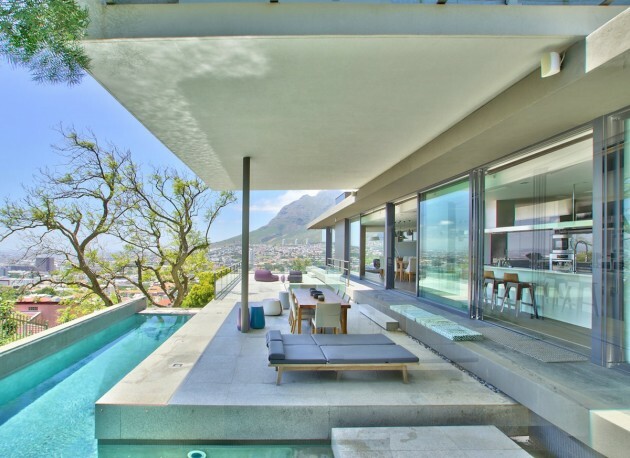 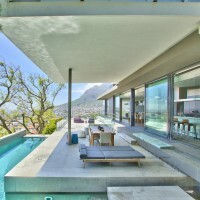 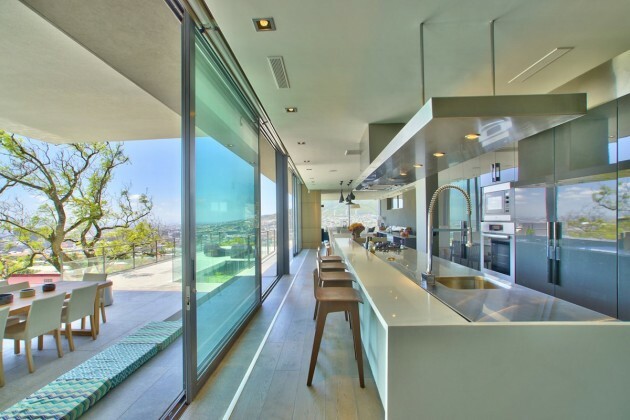 The house enjoys a context the features the iconic Table Mountain, Lions Head and Signal Hill as a series of dramatic backdrops from various viewpoints encountered throughout the architectural program. 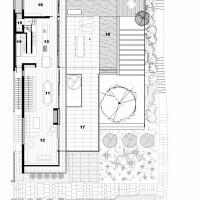 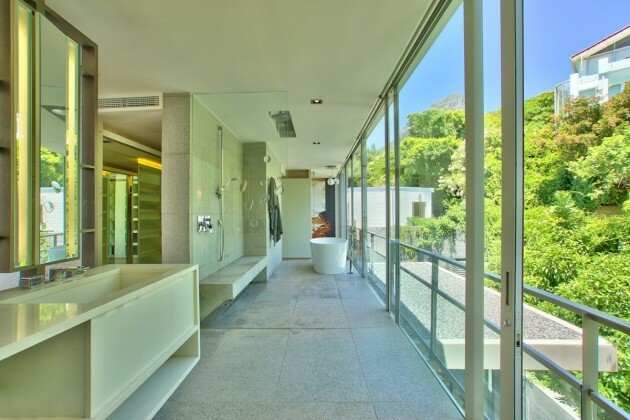 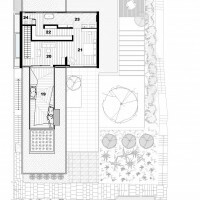 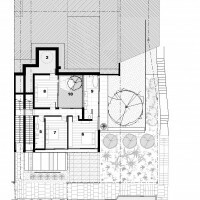 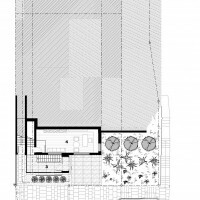 Spread vertically across 5 levels, the program consists of garages at the bottom, a private study at the entrance level, bedrooms above that, before one arrives at the main living level that opens onto pool, terrace and garden. 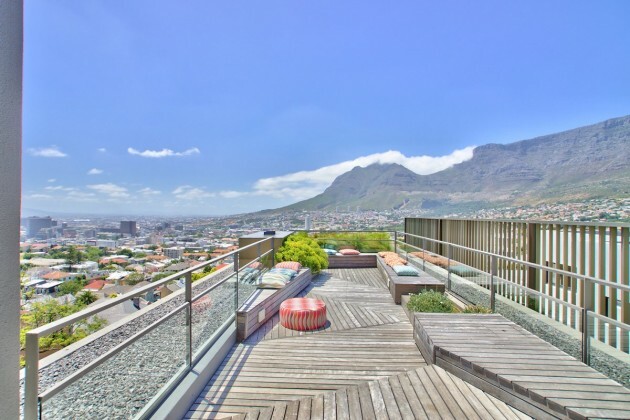 The program is capped off by a master suite and roof garden-viewing terrace with virtually uninterrupted views of the best the city bowl has to offer. 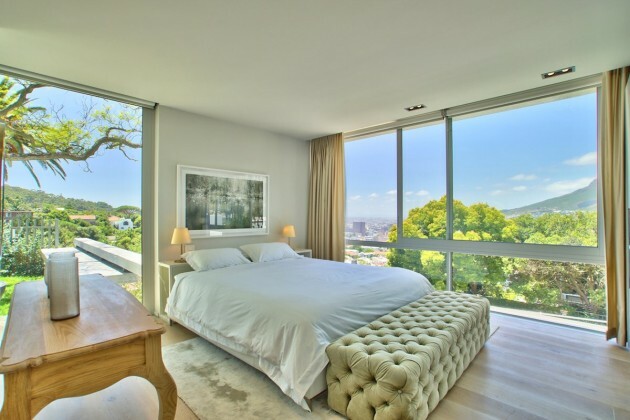 Interspersed amongst the outdoors terraces and open plan living spaces, the series of bedrooms and intimate courtyard gardens offer a diverse range of spaces that provide private and personally scaled counterpoints to the grandeur of the land- and cityscape beyond the boundaries of the property. 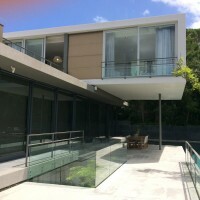 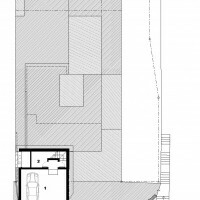 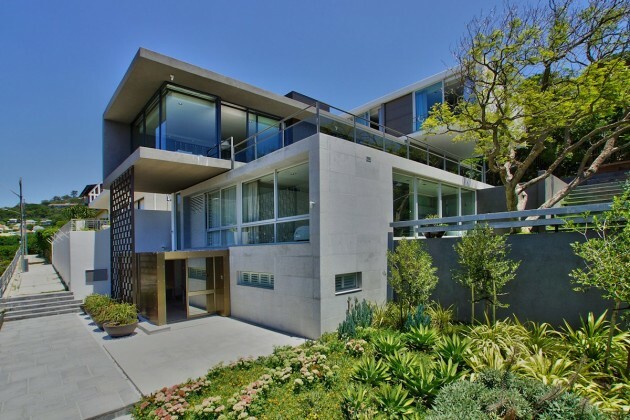 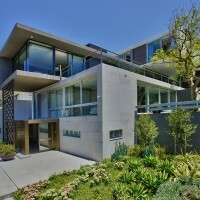 It is the private pedestrian stairway-lane that affords the property the ability to open up to the sides as well as the street and it is this that sets the site apart from others close by. 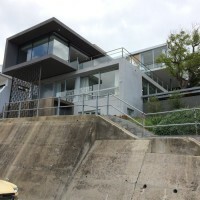 Most of the neighbouring properties have views that are focused outwards across their street frontage only, but the lane results in the perimeter of the property that is unbounded by adjacent buildings increasing by about 200% when compared to its neighbours; add to that the elevation the property enjoys and the resultant is a unique combination with very few rivals in the lifestyle and dramatic backdrop it offers. 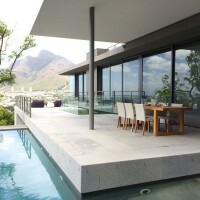 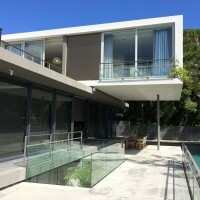 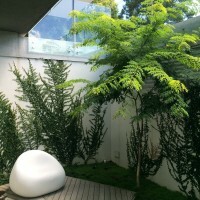 Whilst making the most of the views outward, one of the primary challenges was balancing the privacy of the house. 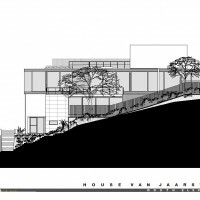 A complex layer of level changes, planted landscaping and screens serves to filter views both inward and outward and complement the bold strong architectural forms that make up the respective levels of the building.